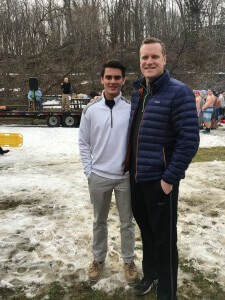 On February 20, 2016, Tim Rayne carried on a Longwood Rotary Club tradition by participating in the Brandywine Polar Plunge. 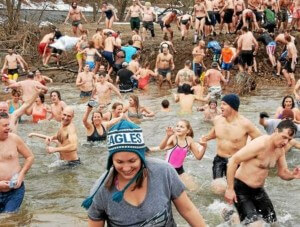 With air temperature a comforatable 50 degress but water temp a chilly 30, Tim waded and then dove into the Brandywine River with a few hundred arguably crazy people. 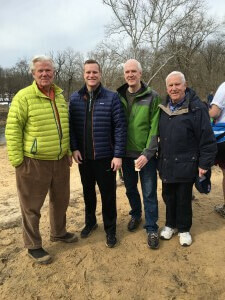 It was all for a great cause with the proceeds benefiting the Brandywine Red Clay Alliance, a non-profit committing to protecting and preserving Pennsylvania land and waterways. 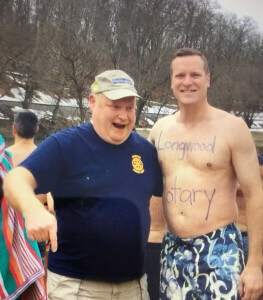 The Longwood Rotary Club alone raised over $1,000 to support the Alliance leading to the Club winning a Golden Plunger Award. 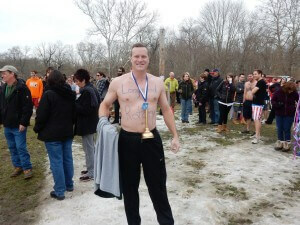 Tim was supported at the plunge by family and fellow Longwood Rotarians. Tim Rayne is a Car Accident and Personal Injury Lawyer with the law firm of MacElree Harvey. For over 20 years, Tim has been helping injured victims of accidents receive fair treatment from insurance companies. Tim has offices in Kennett Square and West Chester, Pennsylvania and can be reached at 610 840 0124 or [email protected] Tim is a long time member and President Elect of the Longwood Rotary Club.